The BioCanRx-Cancer Stakeholder Alliance Learning Institute debuted at this year’s Summit for Cancer Immunotherapy. The pilot model was developed and organized by members of the Cancer Stakeholder Alliance Working Group and HQP community. The Learning Institute brought together patient/public leaders and academic scholars in an interactive and collaborative knowledge exchange program. 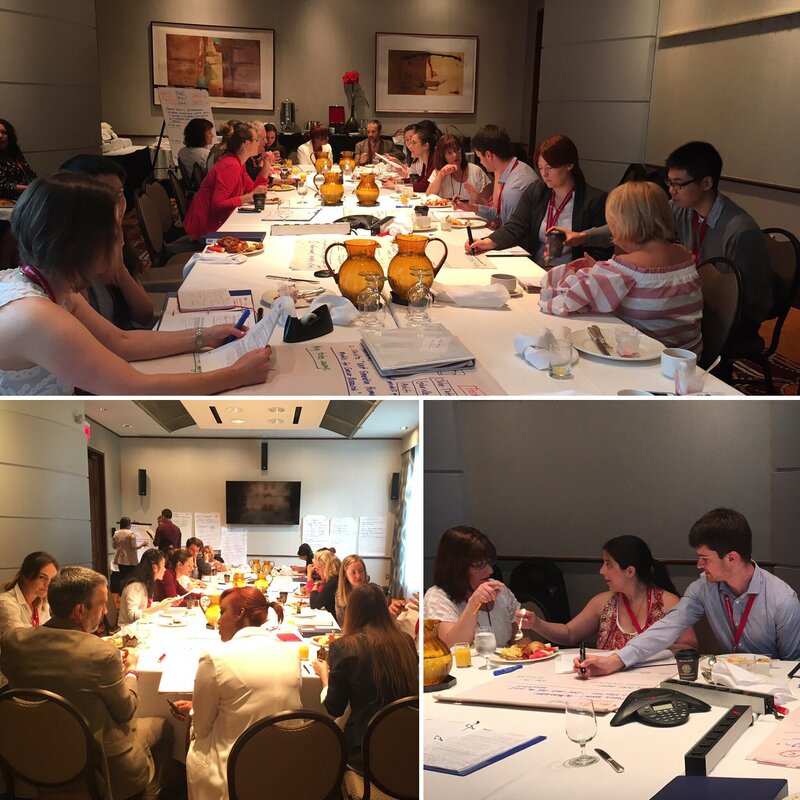 Participants became familiar with research concepts in immuno-oncology, developed knowledge translation skills, networked, and created partnerships. The Cancer Stakeholder Alliance (CSA) and BioCanRx identified the Learning Institute as a joint priority, and made it part of the BioCanRx-CSA Joint Action Plan launched in January 2017. To ensure that scientific research presented at the conference is translated to patient participants in an understandable way sot that it can be shared with interested partners. What did the pilot look like? and the collaborative creation of a Dissemination Report based on the participant’s notes and personal reflections. Participants were also given a workbook and assigned notetaking for the various plenaries, talks and events at the Summit4CI. Early morning Knowledge Exchange Sessions in action. Every morning over breakfast, participants discussed the previous day’s plenaries, talks and events. These high-energy sessions included small group discussions followed by a report back to the room on key take-aways, scientific content, personal thoughts and overall accessibility of each plenary. The pilot was tested by seven members of the CSA Working Group and fifteen members of the BioCanRx HQP community. See below for full list of participants. Find participant testimonials here. While the developers and organizers continue to identify best practices and improvements for next year’s Learning Institute at the 2018 Summit4CI in Banff, Alberta, all participants worked together over the summer on the Dissemination Report. The report contains their key take aways and reflections from the 2017 Summit4CI, and serves as a way to report back and share their findings with their respective communities. If you would like to learn more about the BioCanRx-CSA Learning Institute, please contact Fozia Mohamed Nur, Knowledge Mobilization Intern, by email (fmohamednur@biocanrx.com).